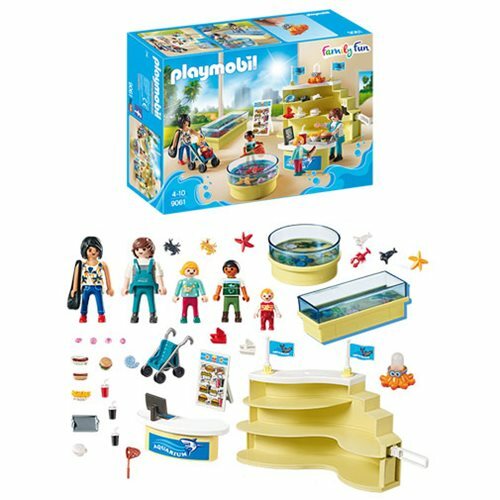 You can't visit the aquarium without a stop to the Playmobil 9061 Aquarium Shop! Check out the interactive pool which includes crabs and starfish and which can be filled with water can also be used as a box to store small parts. The shop sells working octopus water sprayers, souvenirs, and food and drink. Includes 5 figures, storefront, tide pool, tiny toys, and snacks. Ages 4 and up.